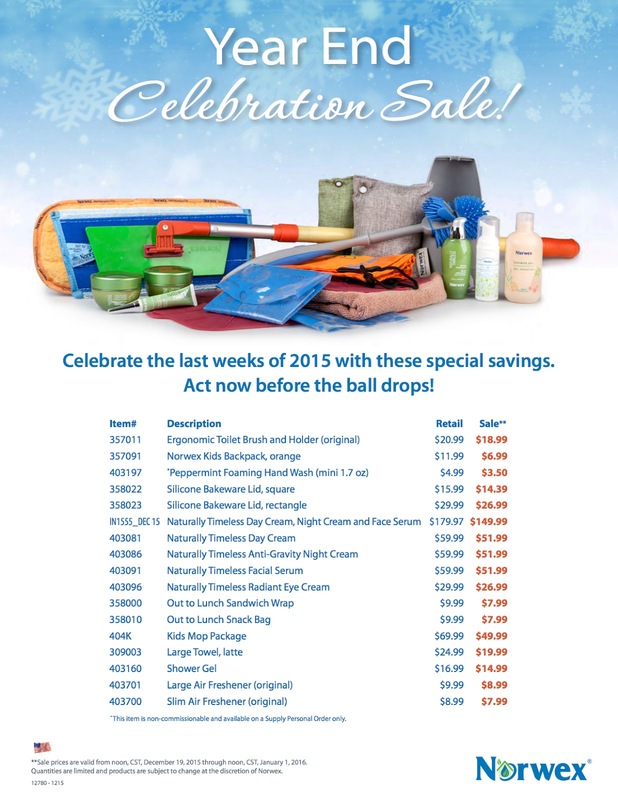 Celebrate the last weeks** of 2015 with these special savings. Act now before the ball drops! 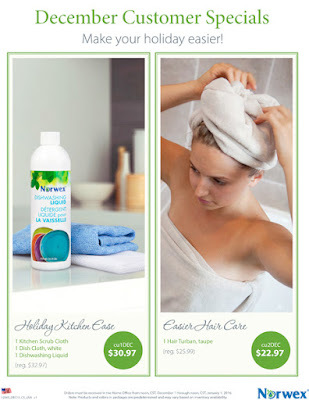 Click SHOP ONLINE above to place your order, or contact me directly. * This item is non-commissionable and available on a Supply Personal Order only. ￼￼￼￼￼￼￼**Sale prices are valid from noon, CST, December 19, 2015 through noon, CST, January 1, 2016. Quantities are limited and products are subject to change at the discretion of Norwex. 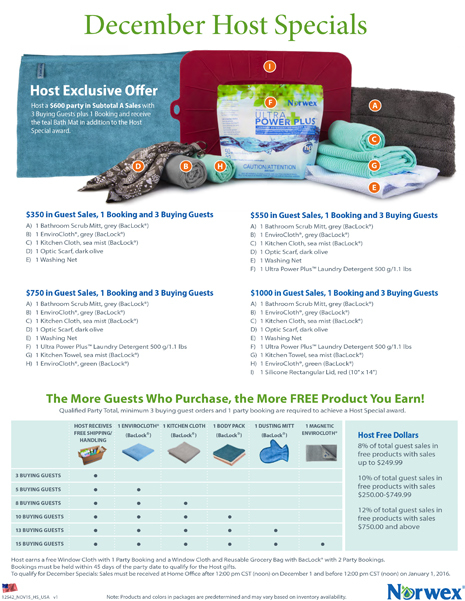 Host a $600 party in Subtotal A Sales with 3 Buying Guests plus 1 Booking and receive the teal Bath Mat in addition to the Host Special award. 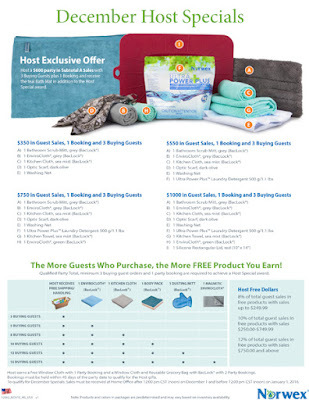 To qualify for December Specials: Sales must be received at Home Office after 12:00 pm CST (noon) on December 1 and before 12:00 pm CST (noon) on January 1, 2016.